If you must talk on a cell phone while you are driving, you must use a hands-free headset. In order to be considered as hands-free, you must use an accessory that your cell phone attaches to. The only time you may use your hands during such a communication is to “activate, deactivate or initiate” a necessary function or feature on the device during your communication. It is illegal to engage in texting while driving. Additionally, you are able to use a voice-operated navigation system that is attached to the vehicle. It is not a moving violation if you are using such a device in a vehicle that is autonomously driven by artificial intelligence where it is allowable by law. Law enforcement personnel, firefighters, or emergency medical personnel within the scope of employment. Someone reporting or requesting assistance in regard to a medical, hazardous, or criminal emergency. Public utility workers responding to an emergency while using a device provided by the company. Amateur radio operators licensed by the Federal Communications Commission providing information during a disaster or emergency. Someone using two-way radio communication who has proper licensing. They also must be using a device where controls, except the microphone, are not in the hand. Make your calls before you drive or when you get to your destination. Keep your cell phone put away where you cannot access it while driving. Pull over away from traffic to make necessary calls. You may even be able to install an app to block calls and texts while you are on the road. Always stay focused on the road, and avoid any other activities while behind the wheel. Enlist the help of the passenger for directions or to handle calls. If you know someone is driving, do not call them. 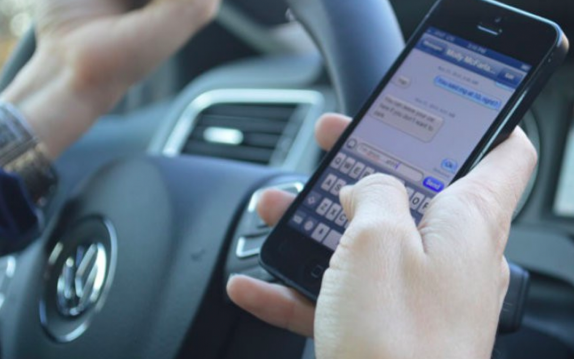 Have you received a traffic citation for texting while driving in Nevada? Our attorneys at Fix Your Tickets can help you get tickets reduced or even thrown out. For a FREE consultation contact Las Vegas Criminal Defense Attorney Bennair Bateman at 702-605-0505. In many cases, we can get your traffic tickets reduced to a non-moving violation or dismissed with no need for traffic school, and zero demerit points on your driving record. Have you suffered an injury because someone else was using a cell phone while operating a motor vehicle in Nevada? If so, you may be owed damages. Contact our Las Vegas attorneys to discuss your ability to win compensation to pay for your lost earnings, loss of future wages, medical bills, and pain and suffering.